If you have any questions about Total Knee Replacement, feel free to email Dr. Leopold at leopold@uw.edu, or schedule an appointment at 425.646.7777 option 8. This article reviews the benefits, risks, and alternatives to total knee replacement surgery (which is sometimes called total knee arthroplasty). Surgeons have performed knee replacements for over three decades generally with excellent results; most reports have ten-year success rates in excess of 90 percent. minimally-invasive partial knee replacements (mini knee). Both have long “track records” and good clinical results in this country and in Europe. Traditional total knee replacement involves a 7-8” incision over the knee, a hospital stay of 3-5 days, and a recovery period (during which the patient walks with a walker or cane) typically lasting from one to three months. The large majority of patients report substantial or complete relief of their arthritic symptoms once they have recovered from a total knee replacement. Partial knee replacements have been around for decades and offer excellent clinical results, just like total knee replacements. Less invasive techniques are available to insert these smaller implants but only a minority of knee replacement patients (about 10%) are good candidates for this procedure. Minimally-invasive partial knee replacement (mini knee) is the topic of another article on this website. Pain is the most noticeable symptom of knee arthritis. In most patients the knee pain gradually gets worse over time but sometimes has more sudden “flares” where the symptoms get acutely severe. The pain is almost always worsened by weight-bearing and activity. In some patients the knee pain becomes severe enough to limit even routine daily activities. Morning stiffness is present in certain types of arthritis. Patients with morning stiffness of the knee may notice some improvement in knee flexibility over the course of the day. Rheumatoid arthritis patients may experience more frequent morning stiffness than patients with osteoarthritis. Patients with arthritis sometimes will notice swelling and warmth of the knee. If the swelling and warmth are excessive and are associated with severe pain, inability to bend the knee, and difficulty with weight-bearing, those signs might represent an infection. Such severe symptoms require immediate medical attention. Joint infection of the knee is discussed below. The knee joint has three “compartments” that can be involved with arthritis (see figure 1). Most patients have both symptoms and findings on X-rays that suggest involvement of two or more of these compartments; for example, pain on the lateral side (see figure 2) and beneath the kneecap (see figure 3). Patients who have arthritis in two or all three compartments, and who decide to get surgery, most often will undergo total knee replacement (see figures 4 and 5). However, some patients have arthritis limited to one compartment of the knee, most commonly the medial side (see figure 6). When patients with one-compartment arthritis (also called “unicompartmental” arthritis) decide to get surgery, they may be candidates for minimally-invasive partial knee replacement (mini knee) (see figure 7). Fig. 1 Knee arthritis can affect any of the three compartments of the knee. Medial-sided knee pain, located on inside part the knee, is the most common location for arthritic pain. Fig. 2 - Lateral knee pain affecting the outside of the knee is sometimes the result of arthritis of the knee. Fig. 3 - Pain behind the kneecap from arthritis may occur along with arthritis elsewhere in the knee or in isolation. Isolated patellofemoral arthritis is the least common pattern of knee arthritis. Fig. 4 - Diffuse arthritis throughout this knee from an old fracture of the tibia (shinbone) which, at that time, was treated with the two screws that are visible. This patient was later treated with a total knee replacement similar to the one shown in Fig. 5. Fig. 5 - This patient had rheumatoid arthritis and symptoms throughout her knee resulting in the traditional total knee replacement pictured here. Fig. 6 - This patient's arthritis was confined to the medial (inside) compartment of her knee on x-rays and her pain was localized to that part of the knee as well. She was a good candidate for minimally-invasive partial knee replacement. Fig. 7 - Minimally-invasive partial knee replacement may be performed for either medial ("inside" of the knee) or lateral ("outside" of the knee) arthritis patterns provided the symptoms are limited to that one part of the knee. X-rays of two knee replacements are shown here. On the left is a lateral replacement and on the right is a medial replacement. This broad category includes a wide variety of diagnoses including rheumatoid arthritis, lupus, gout and many others. It is important that patients with these conditions be followed by a qualified rheumatologist as there are a number of exciting new treatments that may decrease the symptoms and perhaps even slow the progression of knee joint damage. Patients with inflammatory arthritis of the knee usually have joint damage in all three compartments and therefore are not good candidates for partial knee replacement. However, inflammatory arthritis patients who decide to have total knee replacement have an extremely high likelihood of success. These patients often experience total, or near-total, pain relief following a well-performed joint replacement. Osteoarthritis is also called OA or “degenerative joint disease.” OA patients represent the large majority of arthritis sufferers. OA may affect multiple joints or it may be localized to the involved knee. Activity limitations due to pain are the hallmarks of this disease. Sometimes patients with knee pain don't have arthritis at all. Each knee has two rings of cartilage called "menisci" (this is the plural form of "meniscus"). The menisci work similarly to shock absorbers in a car. Menisci may be torn acutely in a fall or as the result of other trauma or they may develop degenerative tears from wear-and-tear over many years. Patients with meniscus tears experience pain along the inside or outside of the knee. Sometimes the pain is worse with deep squatting or twisting. Popping and locking of the knee are also occasional symptoms of meniscus tears. Since some of these symptoms may be present with arthritis and the treatment of arthritis is different from that of meniscus tears, it is important to make the correct diagnosis. A good orthopedic surgeon can distinguish the two conditions by taking a thorough history, performing a careful physical examination, and by obtaining imaging tests. X-rays and Magnetic Resonance Imaging (MRI) scans may be helpful in distinguishing these two conditions. Also called infectious arthritis or septic arthritis, a joint infection is a severe problem that requires emergent medical (and often surgical) attention. If not treated promptly knee infections can cause rapid destruction of the joint. In the worst cases they can become life-threatening. Patients who suffer from arthritis are not more likely to develop such infections. They may occur in anyone. Arthritis patients who develop such infections would notice a significant worsening in their pain as well as some of the other symptoms listed above. A physician will make the diagnosis of a joint infection based on history and physical examination blood tests and by sampling joint fluid from the knee. Again, a joint infection is a serious condition that requires immediate medical attention. An orthopedic surgeon will begin the evaluation with a thorough history and physical exam. Based on the results of these steps your doctor may order plain X-rays. If a patient has arthritis of the knee it will be evident on routine X-rays of the joint. X-rays taken with the patient standing up are more helpful than those taken lying down. X-rays with the patient standing allow your physician to view the way the knee joint functions under load (i.e. standing) which provides important treatment clues. Also, plain X-rays will allow an orthopedic surgeon to determine whether the arthritis pattern would be suitable for total knee replacement or for a different operation such as minimally-invasive partial knee replacement (mini knee). It is important to distinguish broadly between two types of arthritis: inflammatory arthritis (including rheumatoid arthritis, lupus and others) and non-inflammatory arthritis (such as osteoarthritis). There is some level of inflammation present in all types of arthritis. Conditions that fall into the category of true inflammatory arthritis are often very well managed with a variety of medications and more treatments are coming out all the time. Individuals with rheumatoid arthritis and related conditions need to be evaluated and followed by a physician who specializes in those kinds of treatments called a rheumatologist. Excellent non-surgical treatments (including many new and effective drugs) are available for these patients; those treatments can delay (or avoid) the need for surgery and also help prevent the disease from affecting other joints. So-called non-inflammatory conditions including osteoarthritis (sometimes called degenerative joint disease) also sometimes respond to oral medications (either painkillers like Tylenol or non-steroidal anti-inflammatory drugs like aspirin, ibuprofen, celebrex, or vioxx) but in many cases symptoms persist despite the use of these medications. It is important to avoid using narcotics (such as Tylenol #3, vicoden, percocet, or oxycodone) to treat knee arthritis. Narcotics have many side effects, are habit-forming, and make it harder to achieve pain-control safely and effectively after surgery ,should that become necessary. Narcotics are designed for people with short-term pain (like after a car accident or surgery) or for people with chronic pain who are not surgical candidates. People who feel they need narcotics to achieve pain control should consider seeing a joint replacement surgeon (an orthopedic surgeon with experience in knee replacements) to see whether surgery is a better option. There is little evidence to suggest that knee arthritis can be prevented or caused by exercises or activities, unless the knee was injured (or was otherwise abnormal) before the exercise program began. There is no evidence that once arthritis is present in a knee joint any exercises will alter its course. However, exercise and general physical fitness have numerous other health benefits. Regular range of motion exercises and weight bearing activity are important in maintaining muscle strength and overall aerobic (heart and lung) capacity. Exercise will also help prevent the development of osteoporosis which can complicate later treatment. Certainly people who are physically fit are more resilient and, in general, more able to overcome the problems associated with arthritis. Physically fit people also tend to recover more quickly from surgery, should that eventually be necessary to treat the knee arthritis. Regardless of whether a traditional total knee replacement or a minimally-invasive partial knee replacement (mini knee) is performed the goals and possible benefits are the same: relief of pain and restoration of function. The large majority (more than 90 percent) of total knee replacement patients experience substantial or complete relief of pain once they have recovered from the procedure. The large majority walk without a limp and most don’t require a cane, even if they used one before the surgery. It is quite likely that you know someone with a knee replacement who walks so well that you don’t know (s)he even had surgery! Frequently the stiffness from arthritis is also relieved by the surgery. Very often the distance one can walk will improve as well because of diminished pain and stiffness. The enjoyment of reasonable recreational activities such as golf, dancing, traveling, and swimming almost always improves following total knee replacement. Who should consider total knee replacement surgery? It is usually reasonable to try a number of non-operative interventions before considering knee replacement surgery of any type. Prior to surgery an orthopedic surgeon may offer medications (either non-steroidal anti-inflammatory medications or analgesics like acetaminophen which is sold under the name Tylenol) knee injections or exercises. A surgeon may talk to patients about activity modification weight loss or use of a cane. The decision to undergo the total knee replacement is a "quality of life" choice. Patients typically have the procedure when they find themselves avoiding activities that they used to enjoy because of knee pain. When basic activities of daily life--like walking shopping or reasonable recreational pastimes--are inhibited or prevented by the knee pain it may be reasonable to consider the surgery. Arthritis is often progressive and symptoms typically get worse over time. In some patients the symptoms wax and wane causing “good days and bad days.” Knee arthritis does not usually improve on its own. If a knee surgeon and a patient decide that non-operative treatments have failed to provide significant or lasting relief there are sometimes different operations to choose from. If X-rays don’t show very much arthritis and the surgeon suspects (or has identified by MRI) a torn meniscus, knee arthroscopy may be a good choice. This is a relatively minor procedure that is usually done as an outpatient and the recovery is fairly quick in most patients. However, if X-rays demonstrate a significant amount of arthritis, knee arthroscopy may not be a good choice. Knee arthroscopy for arthritis fails to relieve pain in about half of the patients who try it. For younger patients (typically under age 40 but this age cutoff is flexible) who desire to return to a high level of athletic activity or physical work a procedure called osteotomy (which means “cutting the bone”) might be worth considering. This option is suitable only if the arthritis is limited to one compartment of the knee. Osteotomy involves cutting and repositioning one of the bones around the knee joint. This is done to re-orient the loads that occur with normal walking and running so that these loads pass through a non-arthritic portion of the knee. That’s why it doesn’t work well if more than one compartment of the knee is involved--in those patients there is no “good” place through which the load can be redistributed. Knee fusion also called “arthrodesis ” permanently links the femur (thigh bone) with the tibia (shin bone) creating one long bone from the hip to the ankle. It removes all motion from the knee resulting in a stiff-legged gait. Because there are so many operations that preserve motion this older procedure is seldom performed as a first-line option for patients with knee arthritis. It is sometimes used for severe infections of the knee certain tumors and patients who are too young for joint replacement but are otherwise poor candidates for osteotomy. Patients who are of appropriate age--certainly older than age 40 and older is better--and who have osteoarthritis limited to one compartment of the knee may be candidates for an exciting new surgical technique minimally-invasive partial knee replacement (mini knee). Partial knee replacements have been done for over 20 years and the “track record” on the devices used for this operation is excellent. The new surgical approach which uses a much smaller incision than traditional total knee replacement significantly decreases the amount of post-operative pain and shortens the rehabilitation period. 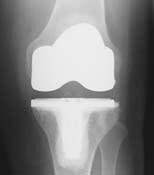 The decision of whether this procedure is appropriate for a specific patient can only be made in consultation with a skillful orthopedic surgeon who is experienced in all techniques of knee replacement. Minimally-invasive partial knee replacement (mini knee) is not for everyone. Only certain patterns of knee arthritis are appropriately treated with this device through the smaller approach. Generally speaking patients with inflammatory arthritis (like rheumatoid arthritis or lupus) and patients with diffuse arthritis all throughout the knee should not receive partial knee replacements. Patients who are considering knee replacements should ask their surgeon whether minimally-invasive partial knee replacement (mini knee) is right for them. Watch an animated simulation of partial knee replacement below. 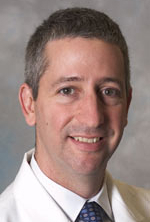 In the videos below, Dr. Seth Leopold discusses less invasive joint replacement surgery. Long considered the “gold standard” operation for knee arthritis, total knee replacement is still by far the most commonly-performed joint replacement procedure. It is most suitable for middle-aged and older people who have arthritis in more than one compartment of the knee and who do not intend to return to high-impact athletics or heavy labor. Results of this procedure generally are excellent with 90-95% of total knee replacements continuing to function well more than 10 years after surgery. In the video below, orthopedic surgeon Dr. Seth Leopold demonstrates minimally invasive knee replacement surgery and discusses the benefits to patients. This University of Washington program follows a patient through the whole process, from pre-op to post-op. Current evidence suggests that when total knee replacements are done well in properly selected patients success is achieved in the large majority of patients and the implant serves the patient well for many years. Many studies show that 90-95 percent of total knee replacements are still functioning well 10 years after surgery. Most patients walk without a cane, most can do stairs and arise from chairs normally, and most resume their desired level of recreational activity. In the event that a total knee replacement requires re-operation sometime in the future, it almost always can be revised (re-done) successfully. However, results of revision knee replacement are typically not as good as first-time knee replacements. There is good evidence that the experience of the surgeon correlates with outcome in total knee replacement surgery. It is best to have the initial surgery done by an sugeon with experience in this kind of work; for example, a fellowship-trained surgeon and with a practice that focuses on knee replacement. Surgeons with this level of experience have been shown to have fewer complications and better results than surgeons who haven’t done as many knee replacements. It is therefore important that the surgeon performing the technique be not just a good orthopedic surgeon, but a specialist in knee replacement surgery. Total knee replacement is elective surgery. With few exceptions it does not need to be done urgently and can be scheduled around important life-events. Like any major surgical procedure total knee replacement is associated with certain medical risks. Although major complications are uncommon they may occur. Possible complications include blood clots, bleeding, and anesthesia-related or medical risks such as cardiac risks, stroke, and in rare instances, (large studies have calculated the risk to be less than 1 in 400) death. 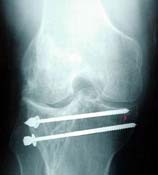 Risks specific to knee replacement include infection (which may result in the need for more surgery), nerve injury, the possibility that the knee may become either too stiff or too unstable to enjoy it, a chance that pain might persist (or new pains might arise), and the chance that the joint replacement might not last the patient's lifetime or might require further surgery. However, while the list of complications is long and intimidating, the overall frequency of major complications following total knee replacement is low, usually less than 5 percent (one in 20). Obviously the overall risk of surgery is dependent both on the complexity of the knee problem but also on the patient's overall medical health. Many of the major problems that can occur following a total knee replacement can be treated. The best treatment though is prevention. An orthopedic surgeon will use antibiotics before, during, and after surgery to minimize the likelihood of infection. Your physician will take steps to decrease the likelihood of blood clots with early patient mobilization and use of blood-thinning medications in some patients. Patients are evaluated by a good internist and/or anesthesiologist in advance of the surgery in order to decrease the likelihood of a medical or anesthesia-related complication. Good surgical technique can help minimize the knee-specific risks. So, choosing a fellowship-trained and experienced knee replacement surgeon is important. Again the overall likelihood of a severe complication is typically less than 5 percent when such steps are taken. Patients undergoing total knee replacement surgery usually will undergo a pre-operative surgical risk assessment. When necessary, further evaluation will be performed by an internal medicine physician who specializes in pre-operative evaluation and risk-factor modification. Some patients will also be evaluated by an anesthesiologist in advance of the surgery. Routine blood tests are performed on all pre-operative patients. Chest X-rays and electrocardiograms are obtained in patients who meet certain age and health criteria as well. Surgeons will often spend time with the patient in advance of the surgery, making certain that all the patient's questions and concerns, as well as those of the family, are answered. The total knee requires an experienced orthopedic surgeon and the resources of a large medical center. Some patients have complex medical needs and around surgery often require immediate access to multiple medical and surgical specialties and in-house medical, physical therapy, and social support services. There is good evidence that the experience of the surgeon performing partial knee replacement affects the outcome. It is important that the surgeon be an experienced--and preferably fellowship-trained--knee replacement surgeon. Are you board certified in orthopedic surgery? Have you done a fellowship (a year of additional training beyond the five years required to become an orthopedic surgeon) in joint replacement surgery? How many knee replacements do you do each year? A large hospital usually with academic affiliation and equipped with state-of-the-art radiologic imaging equipment and medical intensive care unit is clearly preferable in the care of patients with knee arthritis. Total knee replacement surgery begins by performing a sterile preparation of the skin over the knee to prevent infection. This is followed by inflation of a tourniquet to prevent blood loss during the operation. Next, a well-positioned skin incision--typically 6”-7” in length though this varies with the patient’s size and the complexity of the knee problem--is made down the front of the knee and the knee joint is inspected. Next, specialized alignment rods and cutting jigs are used to remove enough bone from the end of the femur (thigh bone), the top of the tibia (shin bone), and the underside of the patella (kneecap) to allow placement of the joint replacement implants. Proper sizing and alignment of the implants, as well as balancing of the knee ligaments, all are critical for normal post-operative function and good pain relief. Again, these steps are complex and considerable experience in total knee replacement is required in order to make sure they are done reliably, case after case. Provisional (trial) implant components are placed without bone cement to make sure they fit well against the bones and are well aligned. At this time, good function--including full flexion (bend), extension (straightening), and ligament balance--is verified. Finally, the bone is cleaned using saline solution and the joint replacement components are cemented into place using polymethylmethacrylate bone cement. The surgical incision is closed using stitches and staples. Total knee replacement may be performed under epidural, spinal, or general anesthesia. We usually prefer epidural anesthesia since a good epidural can provide up to 48 hours of post-operative pain relief and allow faster more comfortable progress in physical therapy. No two knee replacements are alike and there is some variability in operative times. A typical total knee replacement takes about 80 minutes to perform. Whenever possible we use an epidural catheter (a very thin flexible tube placed into the lower back at the time of surgery) to manage post-operative discomfort. This device is similar to the one that is used to help women deliver babies more comfortably. As long as the epidural is providing good pain control we leave it in place for two days after surgery. After the epidural is removed pain pills usually provide satisfactory pain control. Patients with a good epidural can expect to walk with crutches or a walker and to take the knee through a near-full range of motion starting on the day after surgery. Following discharge from the hospital most patients will take oral pain medications--usually Percocet Vicoden or Tylenol #3--for one to three weeks after the procedure mainly to help with physical therapy and home exercises for the knee. Aggressive rehabilitation is desirable following this procedure and a high level of patient motivation is important in order to get the best possible result. Oral pain medications help this process in the weeks following the surgery. Most patients take some narcotic pain medication for between 2 and 6 weeks after surgery. Patients should not drive while taking these kinds of medications. While any surgical procedure is associated with post-operative discomfort most patients who have had the total knee replacements say that the pain is very manageable with the pain medications and the large majority look back on the experience and find that the pain relief given by knee replacement is well worth the discomfort that follows this kind of surgery. Physical therapy is started on the day of surgery in the hospital or the very next day after the operation. Patients are encouraged to walk and to bear as much weight on the leg as they are comfortable doing. Range-of-motion exercises are initiated on the day of surgery or the next morning. The physical therapist should be an integral member of the health care team. In addition, the patient’s own high level of motivation and enthusiasm for recovery are very important elements in determining the ultimate outcome. The average hospital stay after total knee replacement is three days and most patients spend several more days in an inpatient rehabilitation facility. Patients who prefer not to have inpatient rehabilitation may spend an extra day or two in the hospital before discharge to home. We recommend inpatient rehabilitation for most patients to assist them with recovery from surgery. The average stay in a rehab unit is about 5 days. This is especially important for older patients and individuals who live alone. Some patients whose physical condition doesn’t permit the aggressive therapy program that inpatient rehabilitation units pursue may instead elect to have a short stay at an extended-care facility. These arrangements are made prior to hospital discharge. Patients are encouraged to walk as normally as possible immediately following total knee replacements. Most people use crutches or a walker for several weeks to a month following total knee replacements and then a cane for a couple of weeks beyond that. Patients are allowed to shower following hospital discharge. Patients should not resume driving until they feel their reflexes are completely normal and until they feel they can manipulate the control pedals of the vehicle without guarding from knee discomfort. Certainly patients should not drive while taking narcotic-based pain medications. On average patients are able to drive between three and six weeks after the surgery. Following hospital discharge (or discharge from inpatient rehabilitation) patients who undergo total knee replacement will participate in either home physical therapy or outpatient physical therapy at a location close to home. The length of physical therapy varies based upon patient age fitness and level of motivation but usually lasts for about six to eight weeks. Two to three therapy sessions per week are average for this procedure. At first physical therapy includes range-of-motion exercises and gait training (supervised walking with an assistive device like a cane crutches or walker). As those things become second nature strengthening exercises and transition to normal walking without assistive devices are encouraged. All patients are given a set of home exercises to do between supervised physical therapy sessions and the home exercises make up an important part of the recovery process. However, supervised therapy--which is best done in an outpatient physical therapy studio--is extremely helpful and those patients who are able to attend outpatient therapy are encouraged to do so. No two patients are alike and recovery varies somewhat based on the complexity of the knee reconstruction and the patient’s health fitness and level of motivation. Most people walk using crutches or a walker for 3-4 weeks then use a cane for about 2-3 more weeks. Sometime between one and two months post-operatively most, patients are able to walk without assistive devices. Most patients obtain and keep at least 90 degrees of motion (bending the knee to a right angle) by the second week after surgery and most patients ultimately get more than 110 degrees of knee motion. Most patients are back to full activities--without the pain they had before surgery--by about three months after the operation. Since the joint replacement includes a bearing surface which potentially can wear, walking or running for fitness are not recommended. Some patients feel well enough to do this and so need to exercise judgment in order to prolong the life-span of the implant materials. Swimming, water exercises, cycling, and cross country skiing (and machines simulating it, like Nordic Track) can provide a high level of cardiovascular and muscular fitness without excessive wear on the prosthetic joint materials. Total knee replacement is a reliable surgical technique in which the painful arthritic surfaces of the knee joint are replaced with well-engineered bearing surfaces. Pain is substantially improved and function regained in more than 90% of patients who have the operation. Like any major procedure there are risks to total knee surgery and the decision to have a knee replacement must be considered a quality-of-life choice that individual patients make with a good understanding of what those risks are. Knee replacement is a surgical technique that has many variables. Like most areas of medicine, ongoing research will continue to help the technique evolve. It is important to learn as much as possible about the condition and the treatment options that are available before deciding whether--or how--to have a knee replacement done. While many of the changes now being explored in the field of total knee replacement may eventually be shown to be legitimate advances--perhaps including alternative bearing surfaces--it is important to compare them carefully to traditional total knee replacement performed using well established techniques which we know are 90-95% likely to provide pain relief and good function for more than 10 years after the surgery.